Under-promise and Over-deliver. Only make promises you are 120-percent sure you can deliver in 80 percent of the time. This applies in not only in the workplace, but in customer relationships as well. In fact, it’s probably just a good general rule to live by. I experienced the benefits yesterday when my iPhone 4S saga, previously detailed here, came to an end. 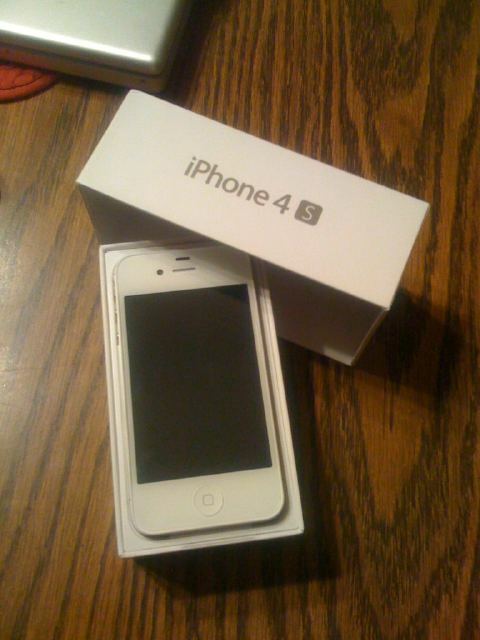 After my AT&T hassle and finally getting to the point where I could place my order through the Apple on-line store, I was told my new iPhone 4S would arrive sometime between November 4-14. I was a little disappointed in that because I will be leaving for a trip to Australia (with a couple of stops before I get there) on November 2. But I at least had a target date. Imagine my happiness when I got an email a couple of days ago telling me that my iPhone had shipped from Hong Kong, and that I could expect delivery October 31 by 10:30 a.m. I was able to click through to the tracking on FedEx, and saw that it had been picked up and was on its way. And how much better it was when Lisa called me yesterday to tell me that she had just signed for a package from Apple! This is the last photo taken with my iPhone 3G, and was featured in my ceremonial last tweet. All of my photos will be at much higher resolution from now on. But this was a great example of Guy’s guidance. I ordered my phone originally from AT&T and was told it would arrive in 14-21 days. When I checked in 14 days later, I found that my order had been cancelled and no one had notified me. I ordered from the Apple store and was told it would ship in 7-14 days, and that I should allow 5 days for delivery. My phone arrived 5 days after I had placed the order. How’s that for under-promising and over-delivering? Yes: under-promise and over-deliver. And more, just do what you say you will. That’s the lesson I return to nearly every day from my father. Congratulations on your new phone. Safe travels, Lee!